School of Distance Education represented Karnataka during One India. As the theme was “Trade, Commerce, and Industry”, LPU students showcased Mysore Palace, Jog Falls, Nammo Metro to represent Tourism Industry of Karnataka. 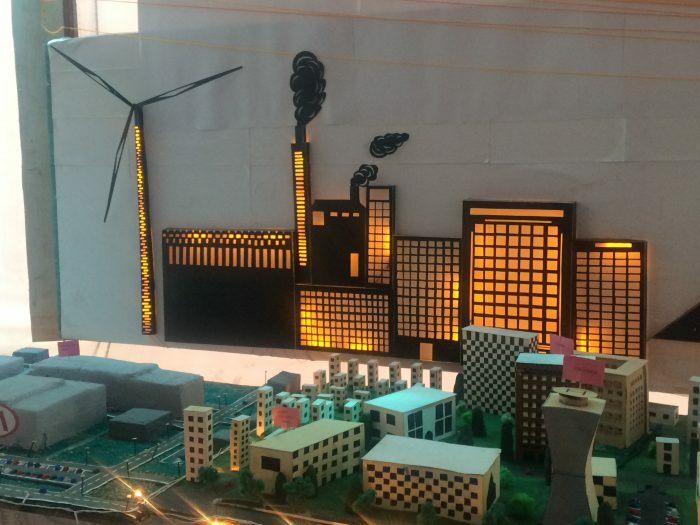 To furnish knowledge about Silicon Valley of India, Bengaluru and showcase Tech Industry, students displayed a mini model of various tech giant industries and technology parks located in Bengaluru. Textile Industry was also showcased and students sold Mysore Silk Saree at the stall. Students also displayed a mini model of World Trade Center Bengaluru, ISRO, HAL, Swiggy, ONGC, and KGF Gold Mine to showcase other major industries contributing to the Prosperity of Karnataka. 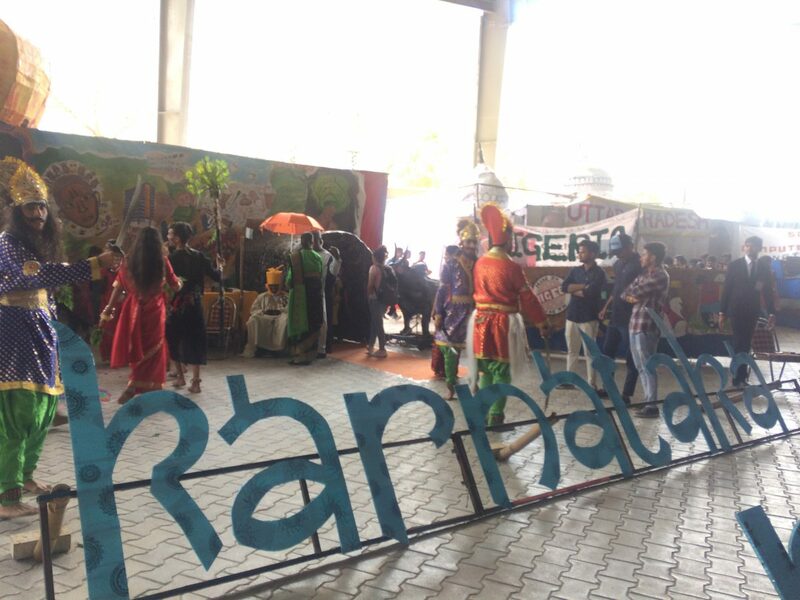 Maharashtra, the third largest state of India, a capacious canvas showcasing countless India’s Iconic Tourism and Trade Attraction, was showcased by School of Education at University’s Grand Fest One India, One World. From the most popular city, “Mumbai” to the most popular Six Sigma Organization, Mumbai Dabbawala Maharashtra’s Trade and Tourism was displayed to its near perfection. While creating a mirror image of Maharashtra, students displayed Aurangabad known for its captivating Caves and History, a major Tourism Spot; Nagpur, known for Parle Industry, Hindustan Unilever and Indian Army Base Camp; Pune, the IT and Trade Hub, known for Tech Mahindra and World Trade Center. Students also showcased models of Bandra Worli Ceiling, Taj Hotel, Wankhede Stadium, Gateway of India and Pandarpur. The Sugarcane Production and the 2nd Top Agriculture University “Mahatma Phule Krishi Vidyapeeth” was also displayed. The Stall had everything from the Pop of Bollywood to the Fame of Business. Mittal School of Business represented Andhra Pradesh during One India. On the theme Trade, Commerce and Industry, students showcased Balaji Temple, Sri Venkateshwara Swami Temple, and Kondapali Toys to represent Tourism Industry and Ancient Tradition of Andhra Pradesh. To endow knowledge about Sri City, the one city that has everything readymade for the new industries to set up, students displayed a mini model of Sri City. Native Students from Andhra Pradesh shared that 60% economy of the state is due to agriculture, thus they showcased Poultry Farms and Agriculture Farms. Students also displayed a mini model of KIA, the largest automobile manufacturer located in Anantapur, Andhra Pradesh. Michi Yard, the agriculture market was also showcased. 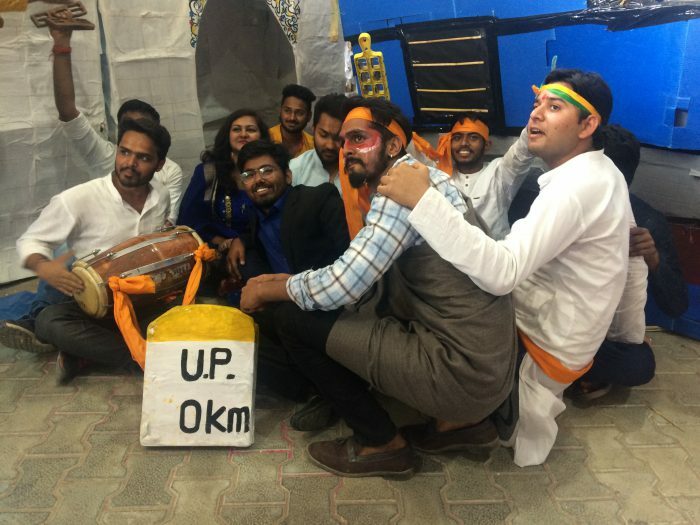 During University Grand Fest One India, School of Computer Sciences and Engineering represented Uttar Pradesh, the state with the second largest economy in India. Students displayed the Food Industry, Leather Industry, IT Industry and Mineral Industry based in Uttar Pradesh. A mini model of The Buddh International Circuit, situated in Greater Noida was also showcased. Students also displayed Noida via Mini City Model. 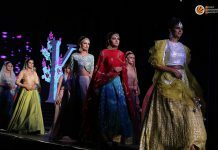 Atal Bihari Stadium-Lucknow, Express Trade Tower-Noida, Sonbhadra Coal Mine, Jaypee India Limited and Manipal Hospital were other major attractions of Uttar Pradesh that were showcased at the stall with the help of mini models. 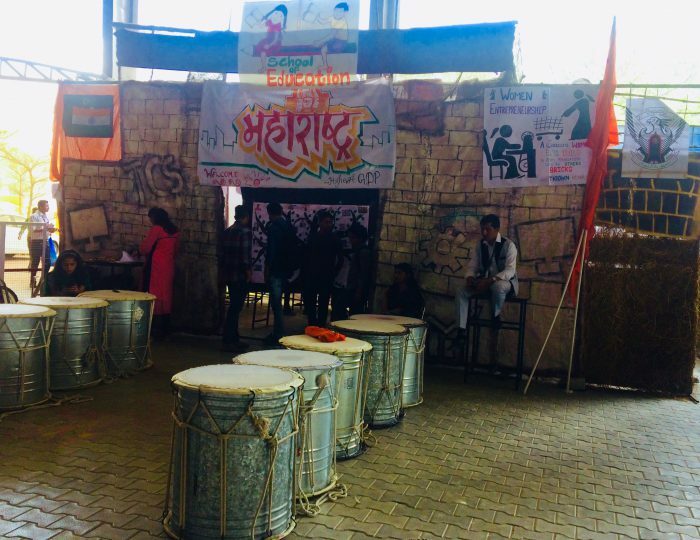 The stall was a mini Uttar Pradesh recreated and glorified by students.